This entry was posted in Atlanta Falcons, Falcons, NFC, NFC South, NFL, Podcast, Preseason, Rise Up and tagged Adrian Clayborn, Atlanta Falcons, Brian Hill, Cory Woodroof, Derrick Shelby, Falcons, Falcons podcast, Grady Jarrett, Jack Crawford, Julio Jones, LaRoy Reynolds, Matt Ryan, Mike Aprile, podcast, Rise Up, Rise Up Reader, Rise Up Reader Podcast, Takk McKinley, Terron Ward on August 28, 2017 by corywoodroof47. The Atlanta Falcons did another one of those for-nothing games to get in shape for the regular season, and we’re spending way too much time thinking, talking, reveling in its pointlessness. This entry was posted in Atlanta Falcons, Falcons, Final Roster, NFC, NFC South, NFL Preseason, Preseason, Rise Up and tagged Atlanta Falcons, Brian Hill, Cory Woodroof, Falcons, Falcons preseason, Grady Jarrett, J.T. Jones, Jack Crawford, Jarnor Jones, Jermaine Grace, Josh Mauga, LaRoy Reynolds, Marvin Hall Jr., Perry Riley, preseason, Quincy Mauger, Reggie Davis, Sean Weatherspoon, Takk McKinley on August 28, 2017 by corywoodroof47. 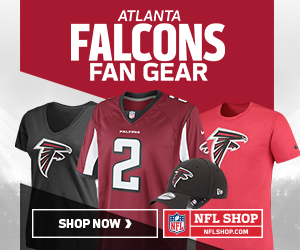 Why, hello there, Falcons faithful! It’s podcast time! This entry was posted in AFC, Atlanta Falcons, Falcons, NFC, NFL, NFL Preseason, Podcast, Preseason, Rise Up and tagged Adam Jones, Arizona Cardinals, Atlanta Falcons, Atlanta Falcons podcast, Atlanta podcast, Austin Pasztor, Ben Garland, Brian Hill, Chris Odom, Cory Woodroof, Damontae Kazee, Devonta Freeman, Falcons, Falcons pod, Falcons podcast, Falcons podcast iTunes, Gary Barnidge, iTunes, J'Terius Jones, Jarnor Jones, Julio Jones, Marvin Hall Jr., Matt Ryan, Michael Aprile, Nick Williams, Pittsburgh Steelers, pod, podcast, preseason, Reggie Davis, Rise Up Reader, Rise Up Reader Falcons Podcast, Rise Up Reader Podcast, Takk McKinley, Taylor Gabriel, Wes Schweitzer on August 21, 2017 by corywoodroof47. This entry was posted in AFC, Atlanta Falcons, Falcons, Film Room, NFC, NFL, NFL Preseason, Preseason, Rise Up, Video and tagged Atlanta Falcons, Daniel Spencer, Falcons, Falcons Film Room, Falcons video, NFL, NFL video, Rise Up Reader, Steelers, Takk McKinley, UCLA, Unintentional Grounding, video on August 21, 2017 by corywoodroof47. The Atlanta Falcons’ second preseason game was like a game of Who’s Line is It Anyway – it was a cataclysm of sound and fury, signifying nothing. Wait a second that’s not right. Well, I mean, it kind of is when you think about it. This entry was posted in AFC, Atlanta Falcons, Falcons, NFC, NFC South, NFL, NFL Preseason, Preseason, Rise Up and tagged Atlanta Falcons, Austin Hooper, Brian Hill, Christoph Waltz, Coach Bear, Cory Woodroof, Damontae Kazee, Dan Quinn, Darion Griswold, Devonta Freeman, Duke Riley, Eric Saubert, Falcons, Falcons preseason, Josh Dobbs, Julio Jones, Marvin Hall Jr., Matt Ryan, Mohamed Sanu Sr., Pittsburgh Steelers, Rise Up Reader, Sean Harlow, Steelers, Sweetums, Takk McKinley, Terron Ward on August 20, 2017 by corywoodroof47.